Flash back to 1997. The Hearst Corp. had lofty plans for San Simeon, including a five-star hotel and a professional 18-hole golf course. There also was talk of restaurants, campgrounds, and souvenir shops along Hwy. 1, plus housing for the workers who would be needed to staff the new resort area. As one 1997 newspaper account recalls, “Hearst is flooding San Luis Obispo County with four-color brochures and promotional videotapes touting the riches sure to flow for all if the resort is built, and underscoring its corporate commitment to environmental responsibility. Stephen Hearst was one of the main players promoting the upscale resort within San Luis Obispo County. Meanwhile a prominent Cambria family–the Fiscalinis–hosted regular meetings of environmental activists opposed to the Hearst project in Betty Fiscalini’s kitchen. Her son David, according to newspaper reports, was especially vocal against the resort, arguing that agricultural land needed to be preserved. Both sides poured money into their campaign. Stephen Hearst eventually conceived a conservation agreement. Formal negotiations with the American Land Conservancy began in 2001 and a final agreement was reached in 2005. 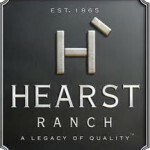 The Hearst Corp. deeded 15 of its 18 miles of coastal property, 949 acres, to the state and agreed to a conservation easement restricting development on the remaining 80,000 acres of the ranch. Also, Hearst Corp. retained rights to put a 100-room inn at Old San Simeon Village and no more than 27 homes in the ranch’s hills and 15 homes for employees east of San Simeon Acres. However, the soft economy kept all resort plans on hold indefinitely. I was born and raised on the North Coast and know each of the men in question. There is a huge difference on many levels between Steve Hearst and David Fiscalini. One has class, money, education and is a community supporter (Hearst Cancer Center). The other is a “poser” that has not one of these qualities. Time to rename the Fiscalini ranch Michael Vick park. I remember meeting David Fiscalini in Camozzi’s tavern 26 yrs. ago, he was a fixture there. Who is the worse of these two multi-millionaires by inheritance? The guy who likes to blow away the most unique and rare animals we have here or the other whose been dying to do the same to the most unique piece of land in my opinion, San Simeon Point? One is hard on the animals, the other on the environment. Remember the recent horse killings for profit in the same area recently? Man truly is a “blight upon the Earth” as the old saying goes. Their rich Daddies need to take away the tools of their deathly trades, guns and money. One difference is that the Hearst owned their land and WE wanted to tell them what to do with it. Mr F did not own the zebras. Mr F will never live this down when it’s added to his history. It’s easy to sour grapes on the Hearsts. But they have contributed more to the area than these other ranchers. At least the Hearsts became diversified and educated and worldly while the locals became mayors of the cow pasture. I’d like to see some artist draw a picture of Mr F murdering the zebra. A picture it worth a thousand words. 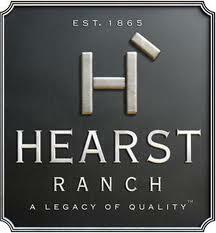 But Hearst is a Corp. and it has a fiduiary obligation to develop the place or otherwise maximize a profit from it. The Fiscalinis were right pushing back when the Point was in danger. But David Fiscalini blew it by blasting the Zebras in a county filling up with animal lovers from elsewhere. Then using them as trophies??? Then blasting Zebras who were owned by a huge newspaper?? Right after people just got over the horse killings by their caretakers right in the same area?? The story just broke that the animal shelter is outa money, David, better get out your checkbook and begin damage control. OK San Luis Sheriff’s Department you went after Mat Hart just for target practicing. Fiscalini fired his weapon and actually killed living things so he should be treated the same way if not worse! It’s the little man verses the big man envy thing. Mr F acted with lethal force before trying any other method or even calling the owners. Just think is SLO LE acted with lethal force before considering other means. All us here on this site would be worm food. Two men, Swen and Gus, hunting zebra’s in the countryside. Suddenly a man rushes out of the wooded area 50 yards away and yells “Don’t shoot, I’m not a Zebra” Gus, raises his rifle and shoots the man dead. 1) If the Hearst name means “money,” what does FISCALini mean? 2) What’s black and white and read all over? Hopefully Stephen Hearst will put away his pin-striped suits when he comes to visit. Well I guess we can all figure now why Fiscalini didn’t and probably wouldn’t call. Not justifing just seeing possible reason. I do see a bigger problem here. I could see this escalating to a dangerous level (between these two) if not careful in there handling of situations as neighbors. Maybe we need an Obama beer summit to have them work this out?? Mr F needs Xanax before he goes postal from what I read elsewhere. I’m going stay away from that area before someone ends up as collateral damage. I meant we all should stay area from that area before WE end up as collateral damage. Yeah, Fiscalini (and Machado) wanted the zebra hides and wanted to recall tales of going on safari in their backyards. Hearst has asked them to donate the hides to a fundraiser for cancer that is held at the Castle. If they refuse they’re just cowardly liars. Its more a civil than criminal matter. The underlying may be a moral matter.